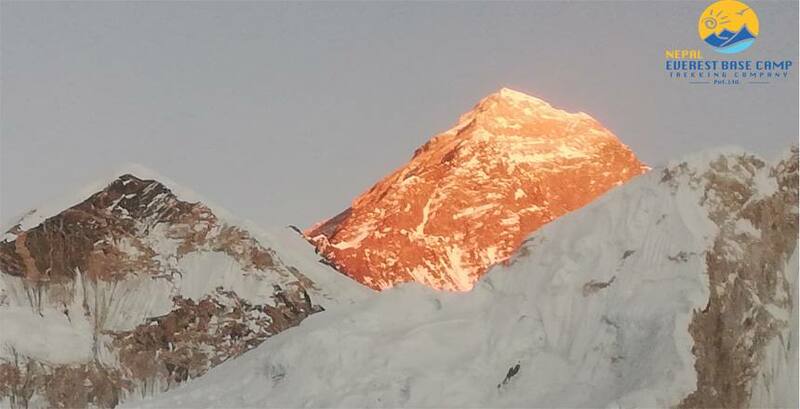 Sunrise View of The Eount Everest. Phase 1: Flight to Lukla and Fueling. After finishing all of the management for the flight we will fly over the Kathmandu valley through observing the beautiful views of Ganesh Himal, Langtang, and jugal Himal range with gaurishankar and Melung Tse peak. On the way to Lukla you can fly over the green valley of Jiri village and other far and wide green valleys. Then through the Lamjura-la pass of 3561M high(approx) covered in a deep alpine forest of Rhododendron, Magnolia, pines, and oaks Trees. We will reach Lukla after 45 min flight from the take off time. Flying high with beautiful views of the Everest Himalayan range and other high mountains including Mt. Everest. Then landing at Tenzing Hillary Airport with the beautiful view of the Lukla(2820M). Which is Named by Tenzing Norgay Sherpa And Edmund Hillary who were the first Mountaineers to climb Mt.Everest. In 29th May 1953. After 30 min stops for fueling and short break then you will fly to Everest base camp Kalapatther(5545m). Lukla is the main door to various Everest trekking, Mountaineering and other Adventure walks to Everest region. Daily flight will be available from the different airlines to get Lukla from Kathmandu. Phase 2: Flight to Everest base camp Kalapatther(5545M). Flying High altitude With the best View of the Mt. Everest, with other high Mountain over the amazing views of Namche Bazaar(3440m), where busy Saturday market takes place every week. 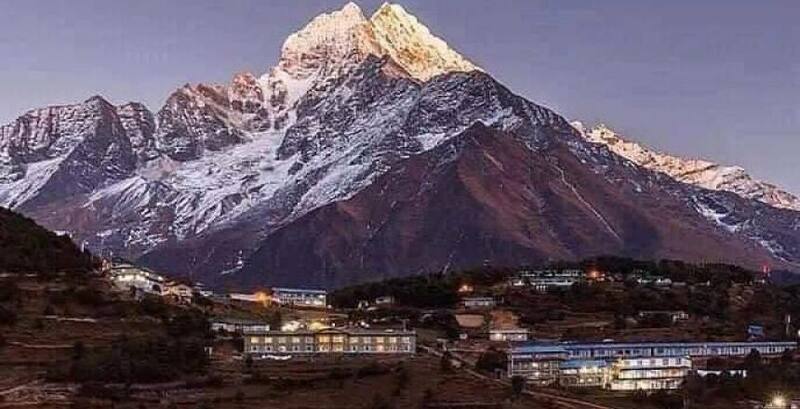 This is the main city of the Khumbu region which is 3210m high from the Sea level. Namche(3440m) is like capital for Sherpas in Everest region. 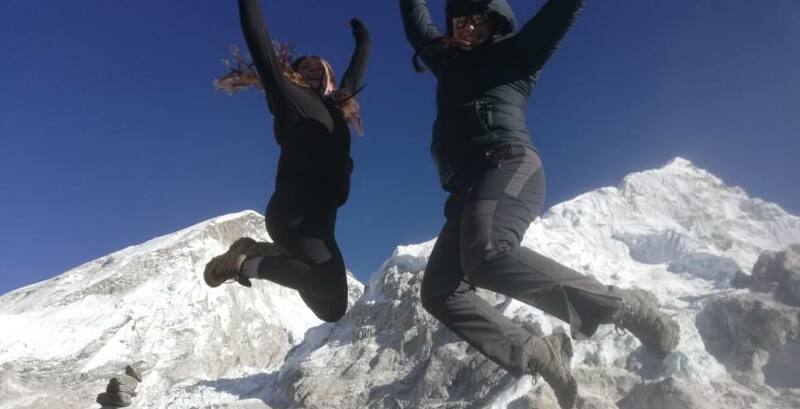 After facing nonstop high altitude and Mindblowing panoramic view of the Everest Himalayan range and other high mountains you will fly over Syangboche, Dingboche, Khumbu Glacier and Everest base camp from where you can see amazing views from your Helicopter. Khumbu is the largest Glacier of Nepal. After 35 min flight to Everest base camp, you will be landing on Kalapatther for 5-to 10 min which is Famous Viewpoint of the Everest region. The Close-up view of the high mountain including Mt.Everest(8848m), Mt. Lhotse(8516M), Mt. Makalu, Mt. Cho Oyu(8201m), Mt. Nuptse(7861m), Mt. Amadablam(6812m), Island Peak Mera Peak, Lobuche Peak and many more high peak of the Everest range are stunning to watch. Landing time on kalapatther depends on the weather and climate. If there is no heavy wind and sky is not heavily clouded you can easily see Overview of the Himalaya. Then flight to Syangboche. 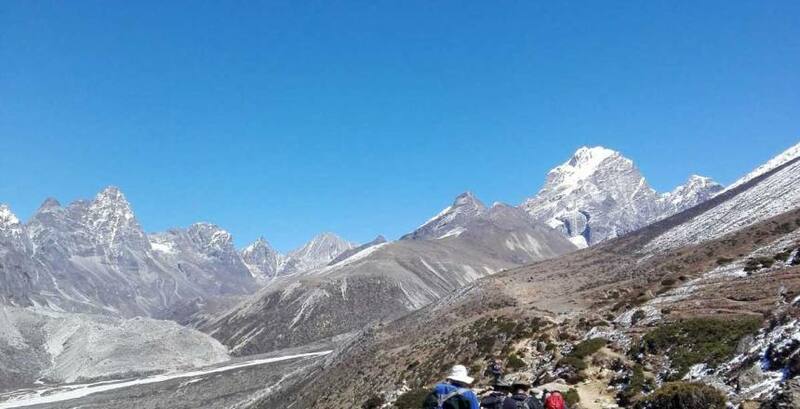 After a brief stop, you will be flying towards Everest Base Camp above moraine and ice to reach Base camp. Enjoy the best view of the dropping and mystical Khumbu icefall and glaciers. 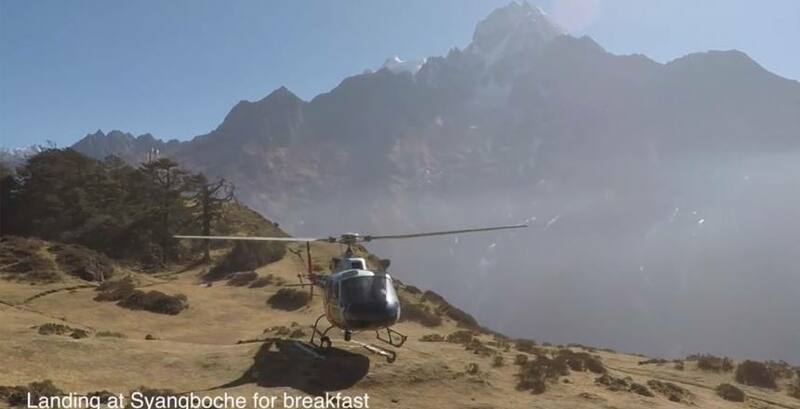 After 15 min of flight, the helicopter will land at Everest view hotel. You will have 50 min for enjoying Mountain View and breakfast at the hotel. From the hotel you can see glorious view of Mt. Everest, Mt. Amadablam, Mt. Cho Oyu and other high mountains on the background. Phase 4: back to Kathmandu through Lukla. After finishing breakfast you will return back to Lukla. Flying 25 min (approx) you will reach Lukla. There will be a short break for 5-10 min to refuel. Then you can fly back to Kathmandu from Lukla in around 35 min. After landing, you will transfer to your hotel. 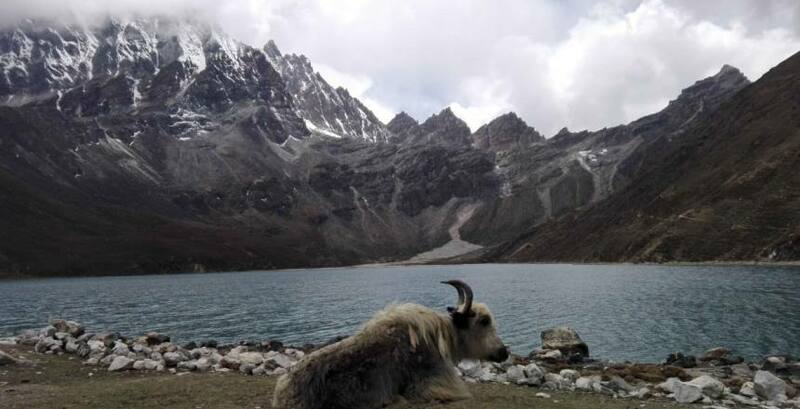 After this jaw-dropping trip, you will have an amazing lifetime experience of Himalayas. Everest base camp helicopter tour is a one of the best tours of the Everest. Choosing Everest Base Camp Helicopter tour will be your best decision and you won’t regret it.